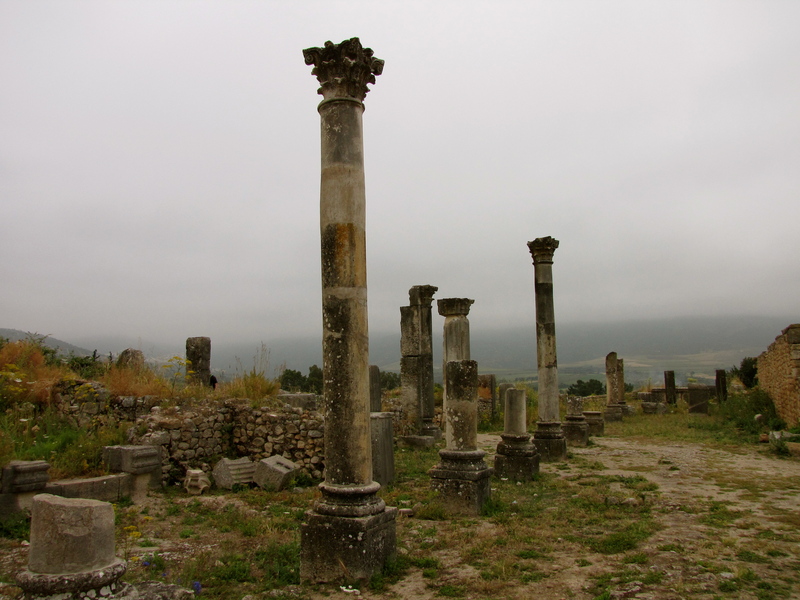 Volubilis is the site of ancient Roman ruins from like the 1st century. Without going into all the details (those which I have not retained), I’ll list a few high points. To review more, check out my link on it on this blog. 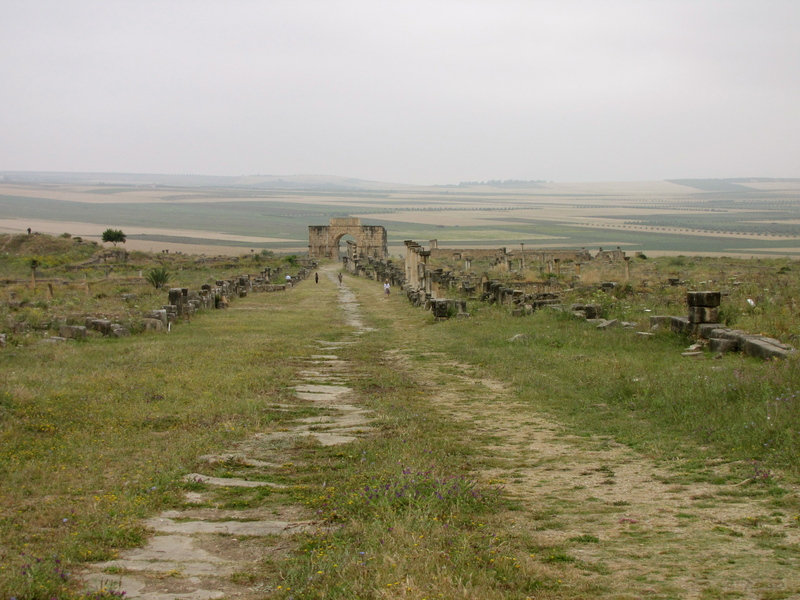 The ruins remained substantially intact until they were devastated by an earthquake in the mid-18th century and by Moroccan rulers subsequently looting the site for stone to reuse in building Meknes. 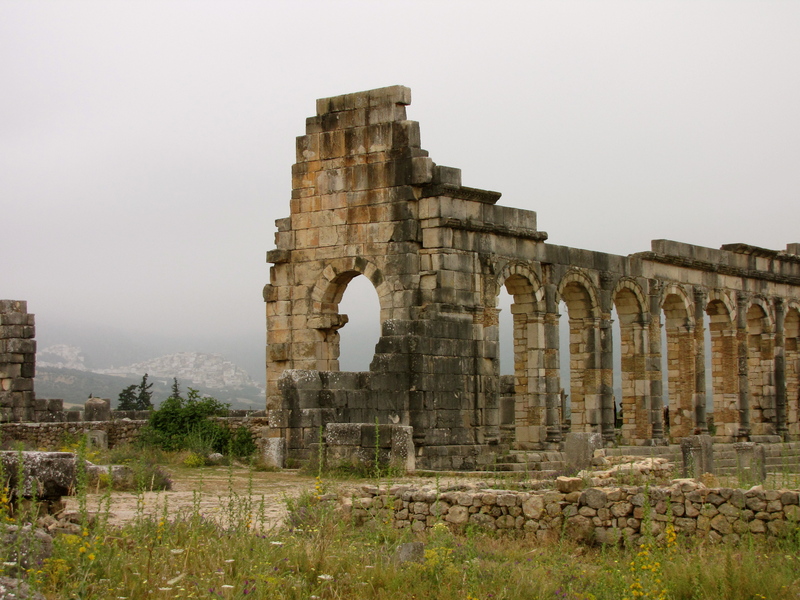 It was not until the latter part of the 19th century that the site was definitively identified as that of the ancient city of Volubilis. During and after the period of French rule over Morocco, about half of the site was excavated, revealing many fine mosaics, and some of the more prominent public buildings and high-status houses were restored or reconstructed. 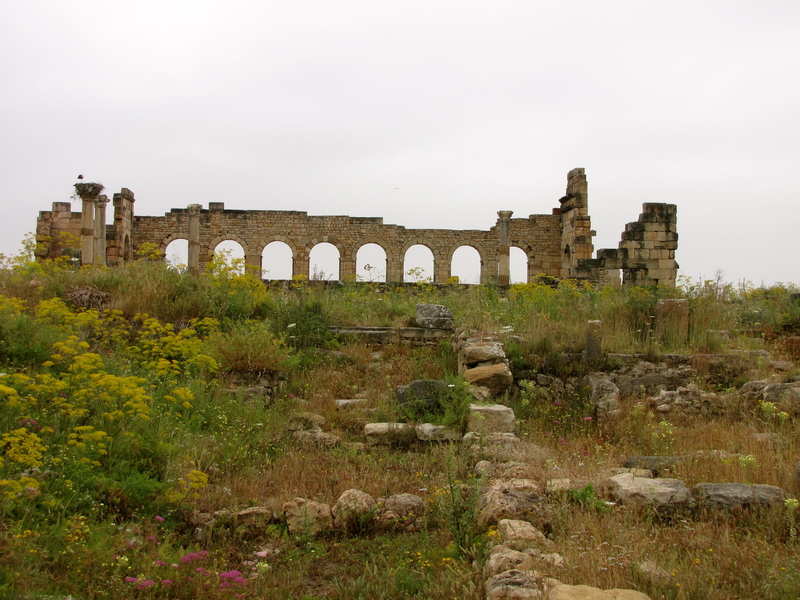 Today it is a UNESCO World Heritage Site, listed for being “an exceptionally well preserved example of a large Roman colonial town on the fringes of the Empire”. So here’s my experience. 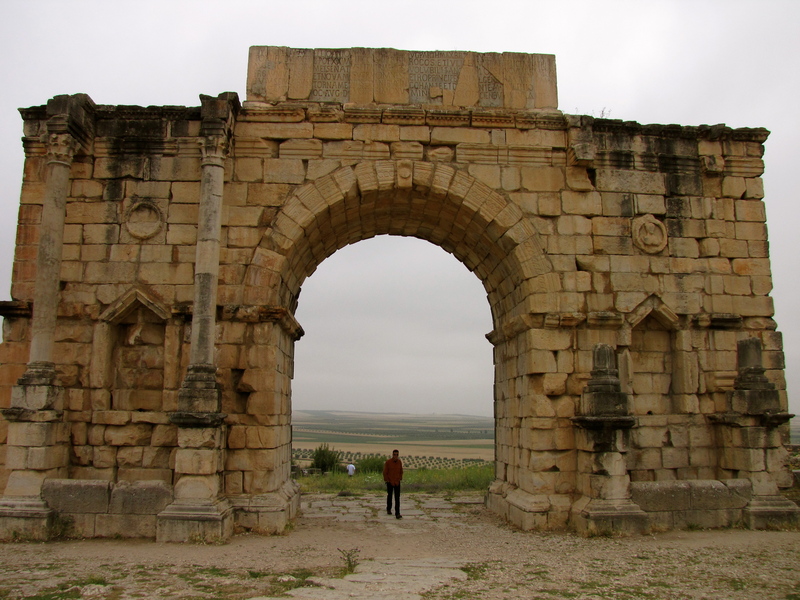 Driving through verdant and green, olive tree-filled rolling hills with grazing cows, sheep, and donkeys, you see a small sign pointing in the direction of Volubilis. But be careful or you’ll miss it (my experience) and will have to turn around and hunt for it again. And suddenly, you see it in the distance. And it takes your breath away. Because here in the middle of literally nowhere is an ancient Roman ruin from the first century! Are you even kidding me right now? And no one was practically even around! Spending an entire day here would not be out of the question if you were really into this kind of thing. Even for me I think I left too soon. 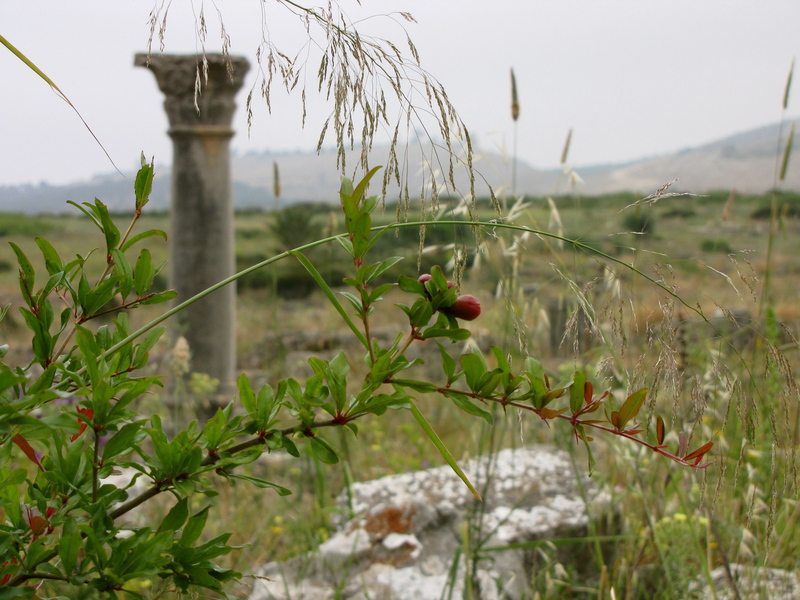 But I was so taken by the wildflowers it was hard to decide what to focus on: ancient Roman ruins or these beautiful purple and pink flowers growing up through the ancient columns! Amazing all the way around.